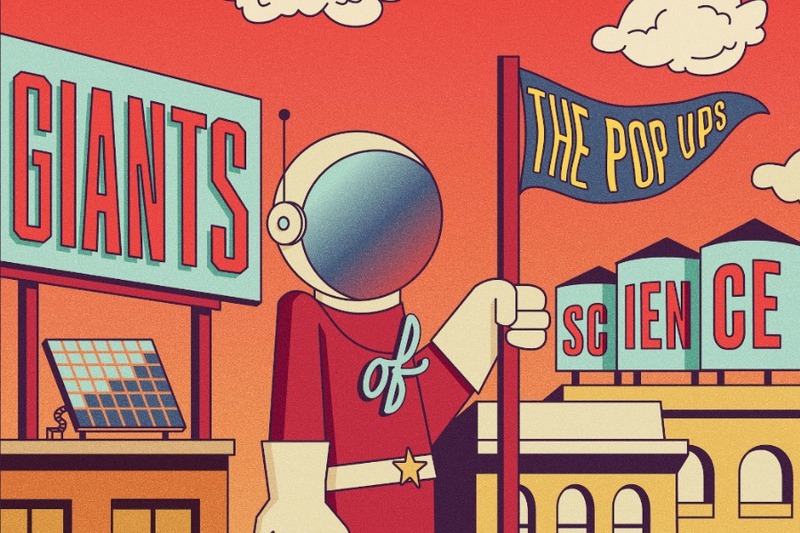 Why you need to download the Pop Ups's new Giants of Science album! 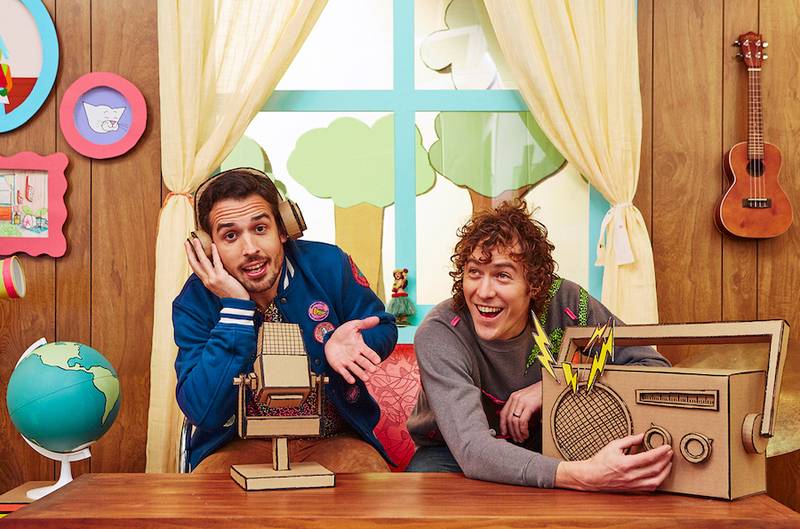 Brooklyn-based kindie music geniuses The Pop Ups’s new album is out today, and (thanks to a sneak-preview) my kids are already hooked. To be honest, I am too. If you’re new to the kid-music scene, you might recognize The Pop Ups‘s psychedelic synth-pop sound from NPR’s Wow in the World podcast. They perform the catchy theme song there, and this new album is full of science-themed songs that celebrate the great inventors who have made our world better. All with catchy, snap-along musical arrangements that will have your kids bopping along. Related: They Might Be Giants, now on YouTube! Yay Science! The first song on the album, “Shadows,” is catchy and dance-y in a Pharrell Williams “Happy” or Justin Timberlake “Can’t Stop the Feeling” kind of way. But, the lyrics are all about how light plays off objects to create shadows. Gah, my kids are learning about science while singing along to catchy songs. What’s not to love? From there, they explore concepts like time, space adventure, mirrors, and sleep. “Synthesizer,” with its awesome 80s vibe, explains how synthesizers work, with synth riffs between the lyrics. It’s awesome. My kids don’t usually click onto Pandora stations with music all about science, but because the lyrics are so clever and the music so good, they’re loving this. Seriously, my feet are tapping as I write this. Don’t wait to download this one. It’s a keeper. You can download The Pop Ups’s Giants of Science on Spotify or any other place you get your streaming music today.